We live on a trillion cubic kilometers of molten rock. Geothermal energy seems like a no-brainer: sink some deep wells, circulate some hot water, and drive some turbines. How hard can it be? Really hard, as it turns out. Now that most of the natural geothermal flow systems have been tapped, we need to make new systems using “enhanced geothermal methods”. This will take a long-term collaboration of engineers and geologists, but the potential is enormous. By some estimates, enhanced geothermal energy could meet the world’s current energy needs for millennia. We will discuss some of the technology advances that will be needed to get there and what we are doing at CSULB. Our efforts are aimed at understanding the “geologic plumbing” of geothermal flow systems and the development of characterization tools to predict help good systems and fix poor ones. In particular, fiber optic Distributed Acoustic Sensing (DAS) is being used as a method for measuring seismic activity and strain in deep hot bedrock systems. We have recently demonstrated in field experiments that DAS can be used at extremely low frequencies that are relevant to fluid movement through geothermal reservoirs. Matt Becker is the Conrey Chair in Hydrogeology and Professor in the Geological Sciences Department at CSU Long Beach. He holds a B.S. in Geology from Michigan State University and M.S. and Ph.D. in Civil Enginering from the University of Texas at Austin. He has held positions with Chevron USA, and Los Alamos National Labs, and U.S Geological Survey National Research Program. He was a National Academy of Science Senior Research Associate at NASA Goddard Space Center and was a Fulbright Scholar at the University Trento, Italy. 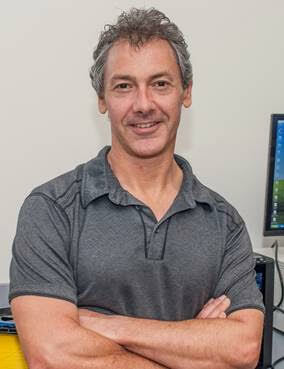 Prior to arriving at the CSULB he was an Assistant then Associate Professor of Geology at the University of Buffalo. He has been studying fluid flow in fractured rock for 20 years.